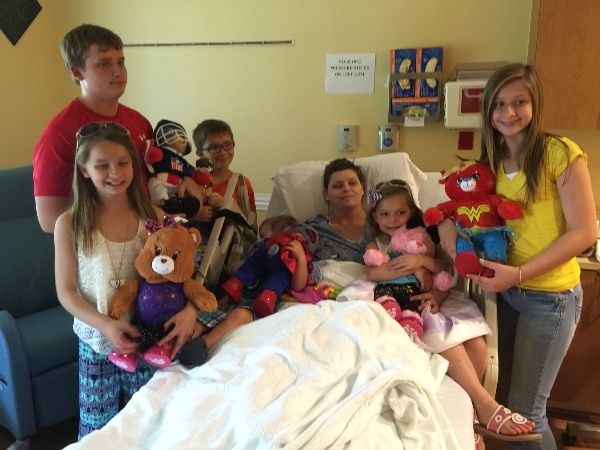 Beth Laitkep, a Virgilina-area resident and mother of six young children, was fighting the fight of her life and was going to beat cancer. That was her plan. But it just wasn't in the stars. On Thursday, May 19, the county native died of cancer, at age 39. The community rallied behind Laitkep, an effort that grew by leaps and bounds. Charities were formed, meals prepared and money was raised to help care for Laitkep and her large family. Laitkep was diagnosed over two years ago with triple negative breast cancer while pregnant with her youngest child, Ace. Little Ace will be two years old on June 5. Her other children are Will, 15; Selena, 14; Jaxon, 11; Dallas, 10 and Lily, 5. But what was in her stars was finding a dear friend, Stephanie Baylous Culley, whom she met while attending Halifax County High School. The two young women worked together at Wal-Mart and knew each other as teenagers, but had not seen each other in many years. A friendship picked up where it left off. Culley saw a need to help her friend and her family during Laitkep’s struggles. She was there for her friend during many treatments and everything else that Laitkep went through during her battle. By April, the cancer had spread to Laitkep's brain, spine and nervous system. "She fought as long as she possibly could. She was tired," said Culley. Laitkep's main concern was keeping her kids together as a family. She and her children talked about it and the decision was made: All had chosen Culley to live with if and when their mother died. Laitkep and her friend discussed the situation and Culley agreed she would need to talk to her husband, Donnie Culley. 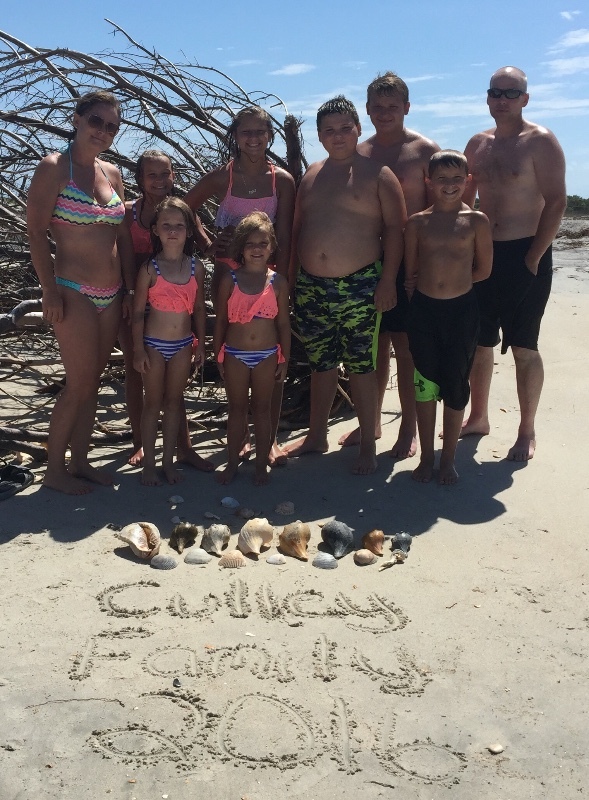 The Culleys have three children of their own, but the Culley’s family answer was unanimous. "God had a plan. I always wondered why I built my house this big," said Culley. Legal documents were prepared and signed. Laitkep was able to rest easy knowing her children were going to be well taken care of and much loved. The two women would have a bond forever by the six children. Laitkep knew that they shared the same parenting style and wanted her children brought up in a Christian home. 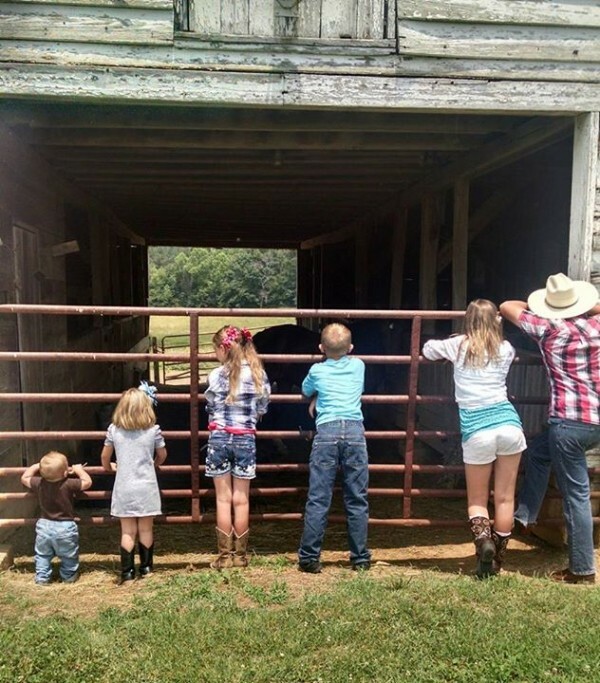 The Culleys have had all six children in the household since Laitkep was admitted into the hospital the first part of April. Laitkep fought a valiant fight against cancer and lost her life on Thursday. Her friends, relatives and members of the community are left in mourning. "I want to thank every one of you that has shown your love and supported Beth and her family during this time. From making monetary donations, all the meals and just being there when needed. It's been unbelievable, the support in our community," said Culley. "As for the future, we're going to take one day at a time, keeping her memory alive and making new ones together as a family. A benefit for the children will be held on June 25 in Constitution Square, Downtown South Boston. If interested in helping with the benefit or making a donation, contact Kathy Woods: 579-2776. Donations: P.O. Box 1661 South Boston, Va. 24592. We just want to thank everyone that has donated to these precious children. They are adjusting very well and thriving in their new home and life. We are taking things day by day and very excited about spending the holidays together as a new and much bigger family. Starting new traditions and making wonderful memories. We would like to thank everyone for all of the love, support and donations. You guys are just amazing! Wow! We won in court on Tuesday so we are the proud parents of 9 kiddos. They are all settling in to their new lives very well and extremely happy that they are now a permanent part of our family. 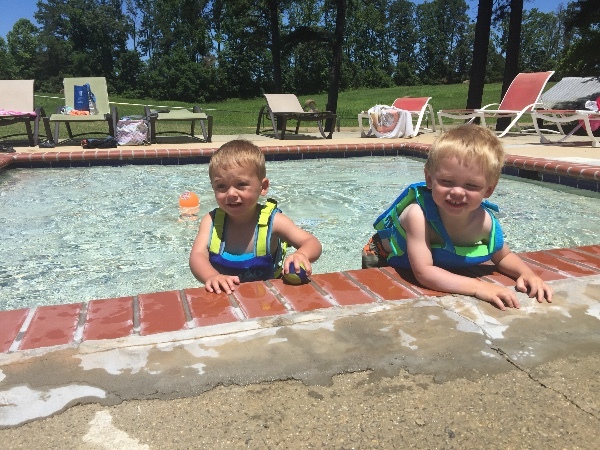 We would like to first thank everyone that has taken the time to hear our story and donate to these sweet babies. The generosity has been overwhelming and very much appreciated. The kids are doing well and settling into their new home and life. They are very resilient kids and they get that from their Mama. My heart goes out to all of you. 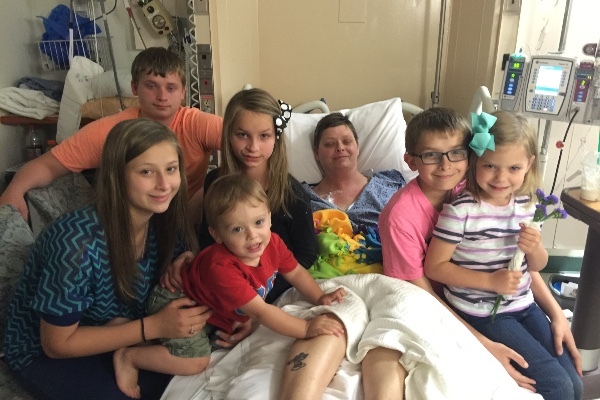 My mother is diagnosed with colon cancer and is living in a motel and has 6 kids as well. It is hard to fight against cancer and God truly don't give us anything we cannot handle. God bless you and your husband for being there for your friend and her children. You'll were sisters in Christ and but she will live on through you with her children. God bless you all I'm sorry I can't make a donation as I am struggling myself and have a go fund me for my mother set up. but I can send much prayers to you all god bless u all I'm so sorry for your loss. Truly amazing people. Meg - Per People magazine: "As her condition worsened, the father of her children abandoned the family – leaving Laitkep to rely on friends like Culley for support. " Havng lost 4 brothers and 2 best friends to cancer, I really admire this woman's courage to fight so hard. I also admire her friend for willingly taking on such a huge responsibility of 6 kids! My question is.........where is the father (or fathers) of these childred? Don't they have a right (and obligation) to love and care and support these children? No where in the article is there a mention of such a person. He (or they) may willingly want to step up and be part of these children's lives. Did anyone ask? Keep fighting Beth, you are a true inspiration! I pray for you and your entire family, as I hope you and your loved one can pray for my mother who was diagnosed with CML a couple of weeks ago. I started a gofundme page for her "Diana Fights CML" From San Diego, CA ... please pass it along! This is a amazing. The entire world loving on our home town angels. Tears of joy . You truly are blessing an amazing family. Beths children couldn't be in better hands thats for sure. God Bless All of you for your generosity and kindness. I love reading the sweet comments and i know sweet Stephanie does too. I hope they are doing well! What about the children's father? Why doesn't he have custody? I wish those who donated could all get together if they wanted to meet this family. How wonderful this has been for them and for our community. What happened to the six children's birth father? I tried to make a donation but got an error from GoFundMe. Please log into your account and check it. What a big heart! ❤️ God will bless you a hundredfold. The Lord has a plan for each of these beautiful children's lives just wait and see! What a beautiful family! God bless you Donnie & Stephanie! Your reward is in heaven! God Bless this beautiful family!